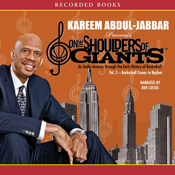 Late this past spring, I read On the Shoulders of Giants, a book by Kareem Abdul-Jabbar about the Harlem Renaissance, its music, and the effect of both on Kareem’s development as a person. I already knew about his lifelong love of jazz and his wide-ranging education and passions, and he seemed like the perfect guest for The Jazz Session â€¦ if I could book him. Little did I know that the process of not booking him would stretch out from the end of one NBA season to the beginning of the next, leaving me with a bad taste in my mouth and one basketball legend short of a show. I’d love to have you on my jazz interview show, The Jazz Session. I think it would be a lot of fun for my listeners to hear your point of view on jazz, and also on the relationship between sports and music that you’ve so eloquently written and spoken about over the years. In particular, we could talk about On The Shoulders of Giants and then expand into your thoughts on jazz in general. Recent guests on The Jazz Session include: Sonny Rollins, Jeff “Tain” Watts, Gary Burton, Hugh Masekela, Kenny Garrett and Chico Hamilton. Upcoming guest include Branford Marsalis, Avery Sharpe, Arturo O’Farrill, Gene Ludwig, E.J. Strickland and Henry Grimes. All of the shows are available to listen to at http://www.thejazzsession.com and in iTunes. 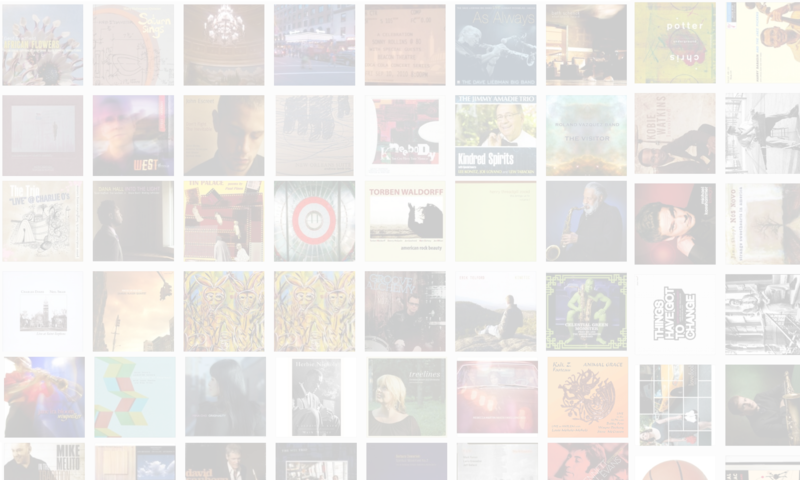 The Jazz Session’s 60 episodes have been downloaded more than 200,000 times. The Jazz Session recently joined forces with All About Jazz to bring my interviews to an even wider audience. I hope you’ll agree to come on the show. I think it would be rewarding for both of us. Will be a happy to schedule after the Playoff Season ends. You mean Kareem’s busy right now? Just kidding — good luck to all concerned. I’m listening every night, and trying not to think of my defeated Celtics. Should I contact you, or wait to hear from you? If I had a list of people I never would have expected to get for The Jazz Session, I think Kareem Abdul-Jabbar would have easily made the list. Kareem is a big jazzhead, though, and his most recent book traces the evolution of basketball from jazz to hip hop. So I sent him an email message, never expecting a response. Within 48 hours, though, his office responded and said he’d be happy to come on the show after the NBA finals. So Kareem will be a guest. Cool, huh? The response to the newsletter and my Facebook post was immediate and very positive. Most folks who aren’t jazz fans don’t know any of the people I normally have on my show, but everybody knows Kareem. I was even stopped on the street by friends and acquaintances who congratulated me on booking him. I think my newsletter wording (â€œCool, huh?â€) just about sums it up. Congratulations to the Lakers on #15! The Jazz Session. I’ve received a lot of feedback already. the book.) My mailing address is: XXXXXXXXXXXXXXXXXXXXXXXXXXXXXXXXXXXX. willing to give away, I’d be thrilled to have them. these work for Kareem, would you suggest some alternates? Thanks. he is booked at this time. Your previous message said: “Will be a happy to schedule after the Playoff Season ends.” I think any reasonable person would take that to mean that Mr. Abdul-Jabbar would appear on the show. Can we make this work? I think he would enjoy, as would the thousands of listeners to The Jazz Session. Mr. Abdul-Jabbar is booked until August, you can check back then. Can we book something now for after August? My interview schedule is quite flexible, given that my show is not live. I’d be happy to book a September or October interview now, rather than checking in August to find that he’s booked again. As requested, I’m contacting you in August to get a date for Kareem to come on The Jazz Session. As a reminder, I know how much he enjoys discussing African-American history and jazz, and those are precisely the topics I intend to cover in our audio interview. I’ll be drawing on his book, On The Shoulders of Giants. The Jazz Session is a weekly jazz interview show in partnership with All About Jazz, the world’s most visited jazz Web site. My past guests include: Sonny Rollins, John Abercrombie, Chico Hamilton, Christian McBride, Gary Burton and many others. Upcoming guests include: Terence Blanchard, Steve Kuhn, Marian McPartland, Avery Sharpe and many more. I also feature the music of lesser-known names in the jazz world. The first 69 episodes of the show have been downloaded more than 250,000 times. I look forward to speaking with Kareem about his impressive and varied career. or if this is a written interview. jammed with his schedule right now. Keep in touch. Here are some dates when I could interview Kareem over the next several weeks for The Jazz Session. This would be a 20-minute phone interview, taped for later airing on the show. I can start the interview at 8 p.m. Eastern Time or later. In December, I’m wide open most evenings at 8 p.m. ET or later. Thanks. I’m really looking forward to this interview, as are my listeners. Many people have mentioned it to me based on your initial confirmation. I am sorry to disappoint but Mr. Abdul-Jabbars schedule is just to busy right now and he is constantly traveling. I’m afraid we are unable to confirm a time at this point. This can’t possibly be true. There is no human being alive who can’t find 20 minutes to talk on the phone. Kareem never watches TV? Reads a book? Looks at the paper? Tweets? I’m really upset at the level of disrespect you’ve shown me since initially agreeing to the interview. Would you treat a major network or anchor this way? You may not know who I am, and I may be a tiny player in your world, but I don’t deserve to have been strung along like this. My show, which has now been downloaded nearly 350,000 times, has a very loyal fan base of subscribers. They’ll be very disappointed at the news. No disrespect intended Jason he just does not have time in his schedule for ANY INTERVIEWS right now. You know that’s not true, and so do I. Are you honestly trying to tell me that in the 216,000 minutes since you agreed to book him on the show (June 5), he hasn’t had any time to spend 20 with me? I watch sports TV and listen to sports radio quite a bit, and I’ve seen and heard him on other shows. My guess is he doesn’t even know we’ve been talking, and unlike Sonny Rollins and the other jazz legends who’ve been on my show, there’s no chance for me to communicate directly with him. It’s such a shame. If you never intended to book him, you never should have agreed. There’s no excuse whatsoever for the way you’ve treated me. Jason I wish you the best with you show but you should know and understand that Mr. Abdul-Jabbar gets many requests daily and I have to make decisionsÂ how time is best spent. I am sorry you are taking this a personal insult as it is not intended. And I have not treated you poorly as all I ever told you is that we would try to fit into his schedule and unfortunately that has not worked out. Lets just move on …. I’m going to write an article about my experience and then move on. The two main emotions I feel are disappointment and anger. Disappointment because I truly wanted to talk with Kareem, who I feel has important things to say about jazz, something about which I’m very passionate. And I’m angry because I’m a professional and I take care and pride in The Jazz Session. I’ve interviewed hundreds of people over the years (in the jazz world and outside of it), and I’ve never been pushed off and strong-armed the way I was in this case. If Kareem never wanted to do the interview, the initial response should have been a clear â€œno.â€ My guess is that it’s more likely that he doesn’t know the request was made. Either way, I expect to be treated with the same dignity and respect with which I treat my guests, and with which I try to treat everyone in my life. I still dig Kareem and recommend his book, but I’m done begging. Pingback: SLAM ONLINE | » Did Kareem Want to Talk Jazz or Not? I contacted someone at Iconomy also to see if Mr. Abdul-Jabbar might be interested in helping me make my documentary. They seemed interested enough to invite me to send a full proposal. Mind you, it wasn’t signed by Kareem himself. In fact, there is no indication if he even heard about to make the decision himself. Just from the generic – ‘Private Office of Kareem Abdul-Jabbar’. There’s always a staff of people who weed out what actually gets put in front the person you’re trying to get to. Problem is, they are like antibiotics – they kill the good with the bad. @ Von: I’m sure your inquiry was filtered, like mine, in the PR office. Too bad, man. @S.: Bittersweet, but interesting? I’ll take it. @Gerard: You’re right on, man. I don’t think any of this reflects on the man himself. It’s just annoying. Thanks for coming over from SLAM. And thanks for the good wishes — the show is doing really well, without or without KA-J. Come back anytime, OK? IMO, you come off as naive and heavy handed here, stalking this guy through his staff for free content. Now you’re dragging him through the mud for at least trying to entertain your request, is that professional? you have a web show. the guy’s absurdly busy. get real. Frankly, I think most jazz fans would rather hear a jazz musician interviewed than someone who is a jazz collector or writer. Obvious exceptions would be people with a wealth of first person stories to tell about the musicians, like Orrin Keepnews, Doug Ramsey, etc. @Josh: Thanks for reading. Of course I disagree with your characterization of what I was doing and how I did it, but I’m glad to have you at the site. @Ken: I generally agree, which is why nearly all of the other 100+ episodes have been interviews with musicians. In this case, though, it seemed like there was some benefit to interviewing a household name — and an athlete, at that — who is also very into the music. (Doug Ramsey has been on my show, by the way: http://www.thejazzsession.com/2007/06/01/tjs-extra-2-jazz-writer-doug-ramsey/). Thanks for everything you do for the music, Ken. It’s clear from your email exchange that K A-J was never a part of it – didn’t know of your request, didn’t make any decision regarding his availability. It’s only due to your questionable persistence that your request didn’t hit the recycle bin sooner. Ask yourself: what’s in it for K A-J? Hawking “On the Shoulders of Giants”? Too late to get publishing pub. Just get airtime to show how much of a great (?) guy he is? He can go on the Tavis Smiley TV show and get much, much, more. A boutique interview for the hard-core jazz audience? C’mon. @Jim: Thanks for reading and commenting. I guess I approach interviewing from a different perspective. The main question I ask is, “Does the person have something interesting to say about jazz?” I thought that Kareem would, given how much of his life he’s spent listening to and researching the music. That was my only angle. I don’t do this show for any reason than to promote the music and the people who make it. Sounds altruistic and naive, but there it is. Well done, man. I disagree completely with anyone who thinks you were “stalking” or rude. You have every right to hold someone to their word, and at the very least, follow up until you get a clear answer (a “yes” or “no” would be a fantastic thing to hear, but they couldn’t even give you that!). I’m learning that the best way to be persistent is to be more and more polite with each follow up. That really freaks the person out, since they think you’ll be getting more frustrated, or you’ll give up. You kept that going nicely until the end, but you finally had to call her out. She was blatantly disrespecting you. Pretty sad … I know we are living in an age where celebrities honestly believe they are better than the rest of us ‘little people’, but I have found many older celebs still hold on to the ideals of being more in touch. I don’t know where Kareem stands with that stuff, but it is clear that his handlers make no qualms about how they deal with folks. I can tell you from experience that this Deborah is a piece of work to deal with – difficult doesn’t begin to define her. Your problem is that you weren’t offering any money – that’s the only thing she understands. And once you get on that road, she will try and squeeze you for every nickel you have. The way she handled this was classless, there’s no sin in being persistent – especially the way she led you down the path of “we’ll set something up.” Total b.s. on her part – plus based on the text you posted of her replies, she needs to invest in a spelling/grammar checker.